RG58 with SMA connectors is most commonly used to connect a vehicle cell signal booster to an antennas when a long run of cable is needed. RG8 has about half the signal loss per foot of RG174 (the cable typically used with vehicle systems), and is ideal when the outside antenna is more than 8–10 feet from the booster unit. RG58 is, however, twice the diameter of RG174, and is more difficult to conceal and run through window openings and door jambs. RG58 also works well as a short jumper for commercial and residential systems, when 400 coax is too thick to fit through a small opening or the cable needs to be concealed. RG58 with N‑connectors is designed for this application. 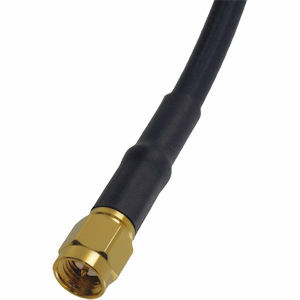 RG58 with N-to-SMA connectors is used to connect vehicle boosters to outside building antennas; this is a popular option in RV applications. RG58 is compatible with 50‑ohm vehicle cell signal boosters, and is also used for other unique applications. If you have any questions about using RG58 or any other coax cable with your system, please contact us and we’ll be glad to help you.